I Kill Giants is in Select Theaters and On Demand NOW! Lady and the Blog → Living → Product Reviews → Read → I Kill Giants is in Select Theaters and On Demand NOW! This post is in partnership with RLJ Entertainment. I Kill Giants is in theaters and on demand right now! From the acclaimed graphic novel comes an epic adventure movie about a world beyond imagination. An oddball teen girl named Barbara Thorson (Madison Wolfe, The Conjuring 2) regularly brings a Norse warhammer to her middle school, and has a detailed imaginary life in which she is a skilled giant killer. However, her flights of fantasy might be an attempt to cope with troubles at home. Barbara is the only thing that stands between terrible giants and the destruction of her small town. But as she boldly confronts her fears in increasingly dangerous ways, her new school counselor (Zoe Saldana, Guardians of the Galaxy) leads her to question everything she’s always believed to be true. I Kill Giants is an intense, touching story about trust, courage and love from Chris Columbus, the producer, that brought you Harry Potter. Based on the acclaimed graphic novel by Joe Kelly and Ken Niimura and directed by Academy award-winning director, Anders Walter. This movie has a stellar cast and team! I Kill Giants touches on some really important themes like dealing with bullying, standing up for yourself, finding the strength within yourself, and imagination vs. reality. I love that these important themes are touched upon throughout the movie! This is all about girl power, too!! Which, having a 12-year-old daughter, is an amazingly great bonus to have! It’s all about confidence and standing up for yourself, something so many of us women can have a tough time with now and again. Seeing young women in strong roles such as this one is so special to see. It’s a great movie to watch with your young lady (and boys, too), be it in the theater or on demand!! I highly recommend it this movie! 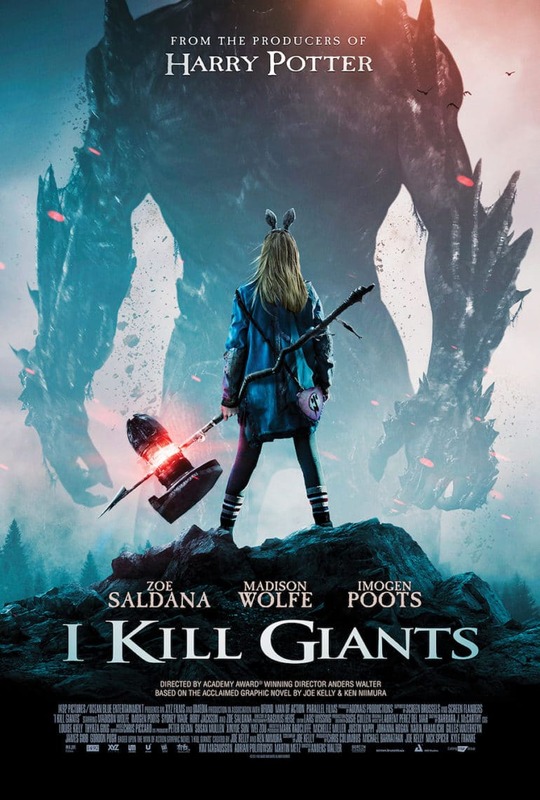 Check out the I Kill Giants movie trailer!!! 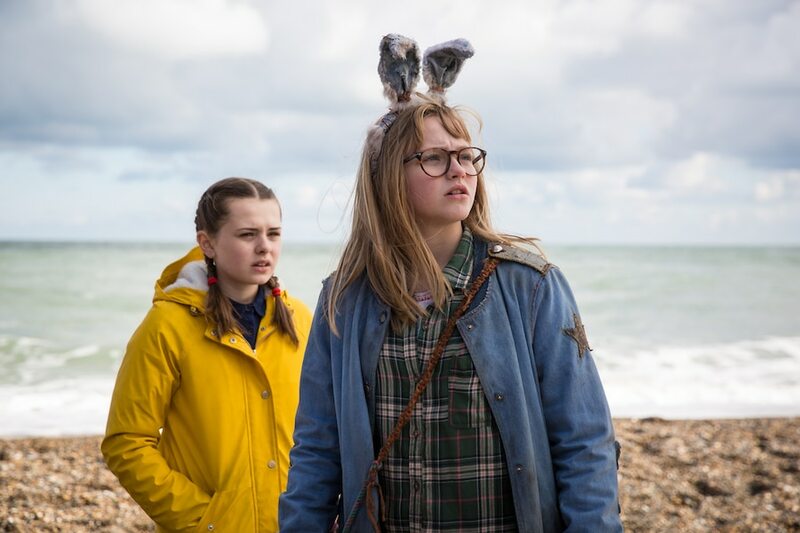 I KILL GIANTS – In select theaters and On Demand NOW!!! *US mailing addresses only. Prizing courtesy of RLJ Entertainment. I will like that it’s about courage. I love that this movie has strong female characters! I like how it empowers women. Standing up for yourself. Standing your ground. Inspiring. Are we suppose to fill out an entry form? The strong female character is a big drawing point in the movie! I like that this movie is about girl power. This movie is so, so good. We just watched it yesterday, and it’s a powerful story. I love how they merged her fantasy with the reality of her situation. I will love this movie because it is about overcoming obstacles and being brave! This looks like it will be an awesome movie! I can see how they make the leap from a not so ideal home life to this girl conquering giants! I think every kid should see this movie! I will love the story line and that it has a great message about courage. I like the cast in this movie. I would like that it would be encouraging and uplifting to children. I love the powerful story and that it is about courage. I’m all about girl power! And standing up to bullying is definitely a great theme for a movie geared towards preteens and teens. Sounds like a really entertaining movie! I have never heard of this one but I know my daughter likes things like this so we need to check it out. She has been wanting to watch a movie recently so thanks for the idea. This sounds really interesting. I love that a young girl is the heroine. We need more books and movies to encourage young girls to be strong and pursue their dreams. I will enjoy the story line and cast. I will like the story line. This looks like a great film. I would love to see it with the kids and hubby. I’ll look for it in theaters near me. This looks like a great movie! I would love to go and see it as soon as possible. I can’t wait to check it out. I like its about courage. I love the great movie cast!! I will like the brave female characters. I would really enjoy seeing this movie precisely for all the reasons you touched upon! Messages of confidence, strength, and standing up for oneself are so important for young girls and for women of all ages!